Supply only kitchens, a list of Do's and Don't's for the DIY home owner. A great rule of thumb: check your measurements before you order and before you start cutting panels etc. Measuring is cheap, replacing incorrectly cut parts will cost you money. Check the position of service like water, gas and drains. An easy slip up is sink wastes that go through the floor. Also beware of the positioning of appliances such as dishwashers and washing machines because waste pipes are often in places that cannot be moved. Although it is not illegal for a home owner to connect their own gas, it is extremely inadvisable. It is much better to find a registered Gas Safe engineer and sleep peacefully in the knowledge that the pipe work has been done properly and has no leaks. Although many DIY kitchen installers are competent in basic electrical work it is good practice to have your installation tested by a qualified and competent electrician who is able to test part P wiring. With the advent of plastic water systems, kitchen plumbing has become well within the scope of most DIY kitchen fitters. Push fit systems are relatively inexpensive and proving the manufactures instruction are followed work really well. This is the most critical part of fitting your new kitchen cabinets; position one unit and level it and when you are happy turn the level through 180 degrees. If the reading stays the same you know the level is correct. 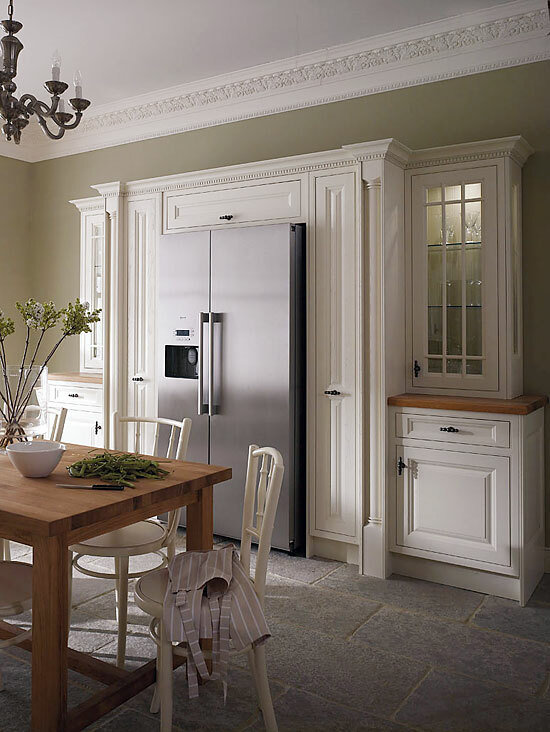 It does not take more than a couple of millimetres on each cabinet to end up with a kitchen that is out of alignment by 20mm or more from one side to the other.